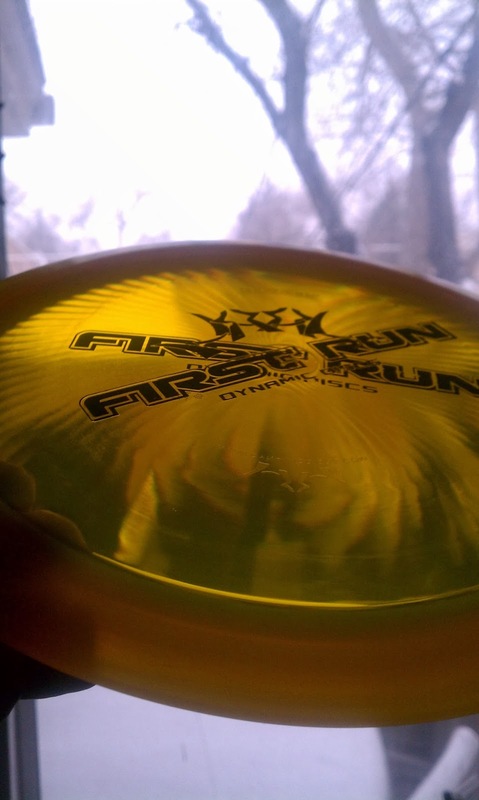 Review Update: Wanted to say that this disc has become a work horse for me. I have been throwing it 400'-405' for the last week - which was truly a pretty rare feat for me before this disc. I am able to throw in my local park which has some nice white lamp posts to measure against. Clearly just distance with no accuracy is trouble, and this disc is so consistent that I feel like I'm able to be very accurate with my drives. 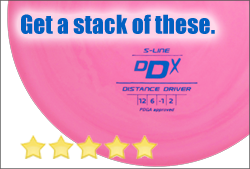 Alright amigos, got a disc review today courtesy of Alan over at Infinite Discs. Please take a moment to check out their site and find something new and exciting for your bag. Supporting Infinite is an easy way to keep these reviews coming. Before the 171 Lucid Renegade arrived, there'd been exactly one disc that had knocked my socks off. My brother sold me a 171 Echo Star Teebird that has become one of my favorite fairway drivers. I feel like in the right conditions (calm to slight tail wind) I could get that disc to almost effortlessly stay afloat and it's flight is a thing of beauty. I've enjoyed some other discs quite a bit, particularly the Discraft Surge has been a disc that I've felt like does quite a bit of the work for me on drives - especially solid for forehands. I've liked Wraith's and Destroyers as well - but those discs came to feel like I had to put in what I got out. 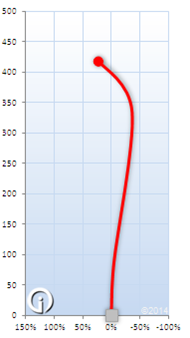 If I want to throw my Champ Destroyer 400' - it's a full-value rip, meaning I have to get my hand speed up there as well as getting a good hit on the release. Some discs seem to balance a bit on the need to be thrown just the right amount - not much more - and then they do some great things. Sometimes amazing things. Sometimes ridiculous things. This is where the Dynamic Discs Renegade lives and it absolutely blew me away. My first clue was when I put about 250' of effort into it watched it slice through the air 325'. I regularly throw in an empty 250' parking lot near my office - so I have that the feel for that distance down pretty well. This was the same throw that landed the previous 3 discs resting in the snow - 250' out. The Renegade just stayed up and glided further. Substantially further with the same throw, from the snow covered parking lot seen below. The Renegade simply put - glides all day like a hover board. The weather outside favors BRIGHT colors. Knowing that I was going to need more room, later in the week, I went out to my favorite big field. I thought, okay - so lets see what some power does to it and I put what I'd call 375-400' with a Destroyer and it turned and burned with a flat release. So I dialed it back to try a flat 300' of power and bam - it turned nice and gentle - late fade for 390-400'. Legitimately further than every other driver in my bag with that amount of power. 50' past both my Champ Valkaries, 10-15' past my Surge and it only required about 75% of a full power drive. Over and over - letting the disc do the work, I simply put less into this disc and got more in return. It is consistently neck and neck with a 100% drive with a 171 Champ Destroyer - and it takes less effort. It is consistently 10' beyond my Surge with less effort. When I play rounds with it, it means I'm fresh longer. It did take a few days to dial in the amount of power it will take - but I've found that to be the case with most discs that I have come to rely on. Learning how discs behave in various conditions is part of the joy of disc golf for me. It took a while to realize that part of the beauty of it, is that I'm self-correcting bad habits by not trying to blast the disc. My off-axis-torque is getting better; less flutter out of my hand. I'm pulling lower under my chest - rather than higher, which is a bad habit I continue to fight. This is because the Renegade rewards a nice flat snappy drive and it rewards it very generously with distance. I had my brother throw the Renegade - and he's recently boosted his Destroyers into the 420' range and had some go even further. I told him to take it down to 70% because we were throwing 325' at one of our favorite courses - and I didn't want him to turn it over. He groaned a "whoops" after letting go of his drive - and said that he accidentally put just about 50% on the disc. He over-drove the hole by 40' with 50% of a normal drive. This disc has glide and a nature that just gives away distance. It's gone in my bag and will absolutely be there permanently. Also, the Lucid plastic not only feels good in the hand - it's gorgeous. 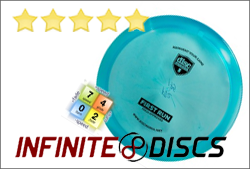 If you're ready for some next level glide, some very easy distance, and just a beautiful disc - I would recommend a Renegade without hesitation. So that wraps it up - I'm trying to keep a fire lit under Kyle and Brian to keep writing, but work seems to be hammering on everybody. Happy discing amigos and remember to be safe when you're throwing bombs. Agree. Came upon a slightly used Renegade in the BioFuzien plastic and have had the same experience. It goes farther than my Destroyer or Crank or D4. It just keeps on gliding. Very comfortable in the hand as well and it always comes out smooth. Right on - my friend Sean had an earlier mold that didn't have the flashing on the bottom and apparently that version was much flippier. I'm super stoked on mine - won't be long before I start cycling a few more into my bag. Tresspass might be the next disc I buy - I'm a big fan of the Wraith.